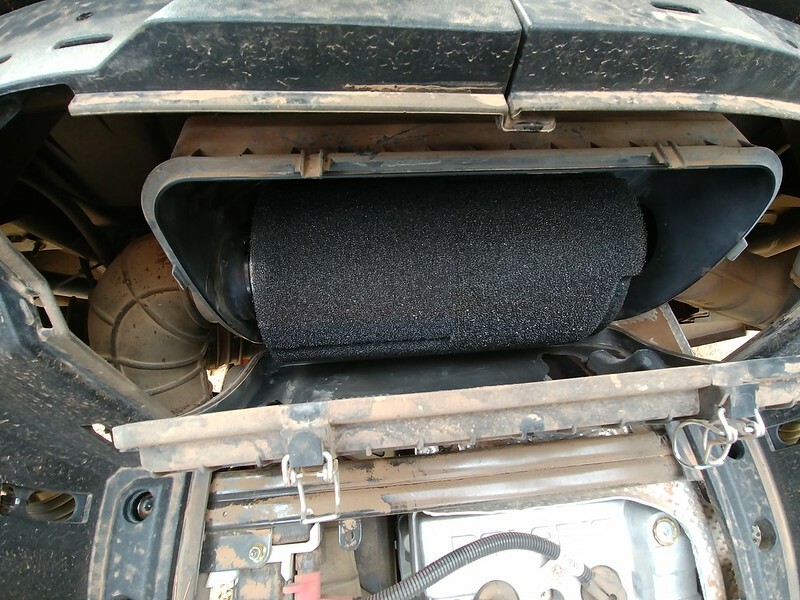 Polaris RZR Forum - RZR Forums.net > General RZR > RZR XP Turbo > Anyone running a pre-filter? Was wondering if anyone had removed the stock frogskinz intake cover and replaced it with a washable filter to help keep main filter cleaner longer? I've seen where guys have done it to XP 1000s but I can't find where anyone has done it to a Turbo and posted the results, was also wondering if it could cause any negative effects. Re: Anyone running a pre-filter? I'd also like to hear on this. I know some guys use S&B particle separator, but I wouldn't mind hearing about different options. I have been running this in mine. Seems to be just fine. They are used with the frog skin. We sell them for the CVT and they will fit in the engine side. Someone a while back used one specifically for an XP and says he lost boost. He may or may not have had the strut in it though. They work just fine on the XP. The cvt filter for the Turbo can handle the airflow from the turbo engine, only the intake boot is week and (may not) hold up. I have not experienced this in my 2018 Turbo at all and have not noticed any reduction in power. I will note that Polaris does not put a seal on that side for some reason. It still pulls a lot of air around the bottom of the cover and our filter would only catch some of that dust. 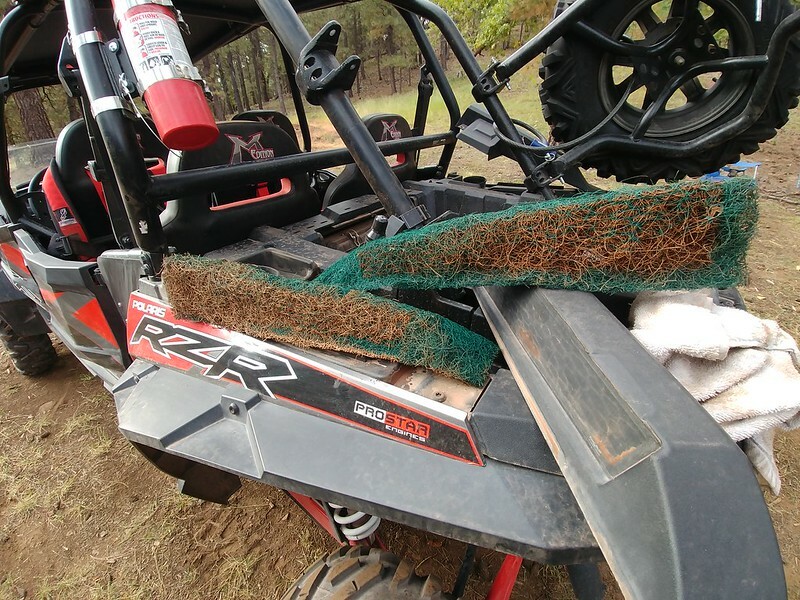 https://wolfsnout.net/utv-accessories/ Some dust will make it through. Seems like this might be all the more reason to buy a K&N type filter (dry)with 3" flange and 3" pipe into intake boot with outer wears to put on top to help main filter. I did it on my 1k. The sheet of a/c filter isn't very dense and I don't think it impedes the air flow too much until it gets dirty. I spray it with KN oil. My main filter has some shop vac foam around it. Good Job! I would be scared a little bit of oily dirt gets to the belt though. I suppose you could put oil on our filters, but never have for that reason. I make a filter housing replacement that eliminates the frogskin housing all together. It uses a K&N style filter. I use them on both the CVT and the engine side. I haven't needed to clean the uni air filter on my '16 xp1k in a thousand miles. I used to dump the fine dirt out of my CVT housing after every ride. Now I wipe it out once every other oil change. They will fit any xp1000 from '14-'19. Turbo or not. The pic is of them on my 2019 xp4 turbo S. I have almost 300 miles on it with the filters on. No loss of boost. They go on in a matter of minutes. mannysouza and clk004 like this. Put a Donaldson Blue filter in the RZR and you are good. What' the part #? I'm finding a couple different ones on line. What' the part #? I'm finding a couple of different ones on line.